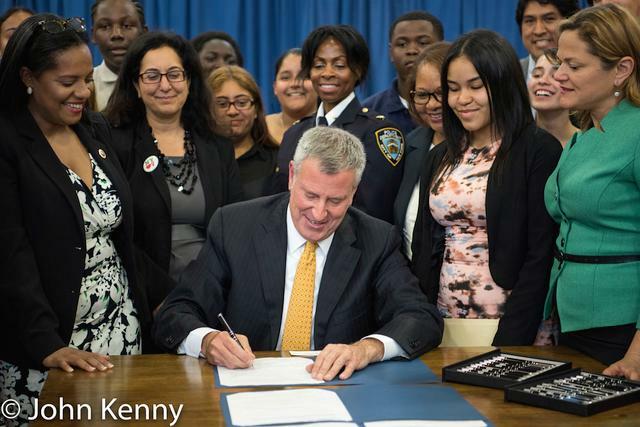 Mayor Bill de Blasio celebrated the passage of three City Council bills increasing access to tampons and pads in schools, jails and shelters with a Tuesday signing ceremony and press conference. City Council Speaker Melissa Mark-Viverito, Council Members Julissa Ferreras-Copeland and Vanessa Gibson and Assembly Member Michael Blake joined de Blasio at the High School of Violin and Dance in the Bronx. 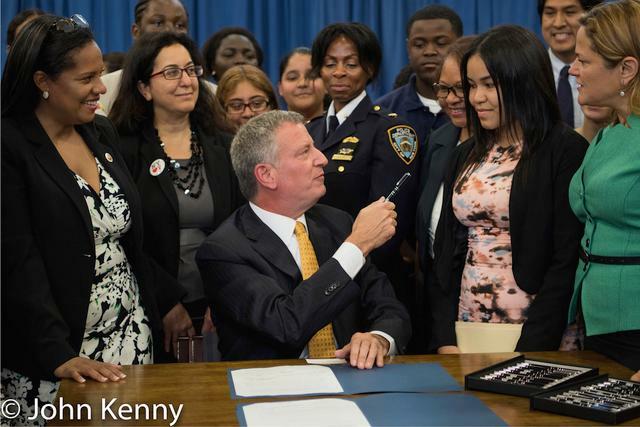 After remarks by the elected officials, following an introduction by 11th grader Mayelin Sanchez, de Blasio sat for the actual bill signing. He then returned to the lectern for a lengthy press Q&A. Our full bill signing and press conference photo gallery is here. 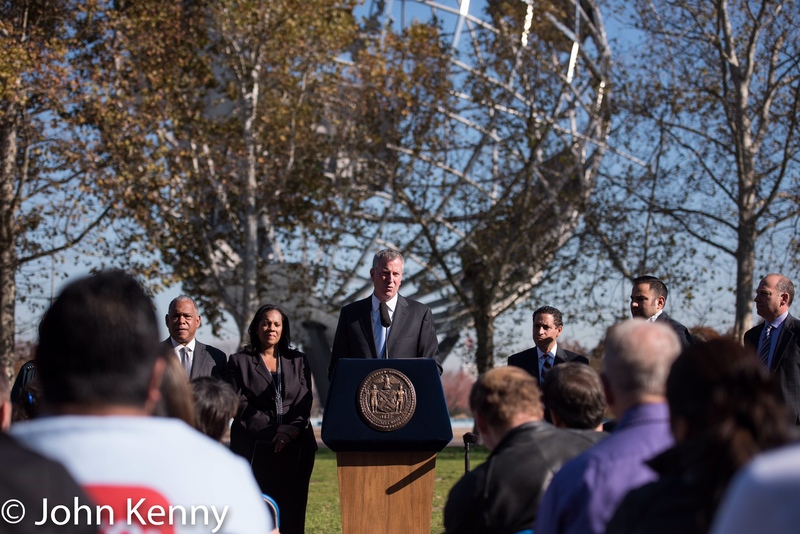 Mayor Bill de Blasio today announced the creation of the Flushing Meadows Corona Park (FMCP) Alliance, formed with the goal of supporting and promoting the park. Located in Northeast Queens, FMCP is approximately 900 acres and includes within it Citi Field and the National Tennis Center. The Alliance is composed of a mix of government and commercial businesses, with some civic groups and labor. 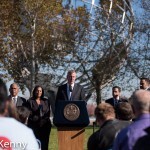 de Blasio spoke outside the Queens Museum, also located within the FMCP, with the 1964 Worlds Fair Unisphere behind him. Joined by Council member Julissa Ferreras-Copeland and Parks Commissioner Mitchell Silver, de Blasio fielded both on topic and off topic questions. He demurred on answering security-related questions, noting that he had a second press conference scheduled for this afternoon with Police Commissioner William Bratton and stating that he would address such questions at that later press conference.